I’ve spent 10 days traveling around Israel and Palestine. It was just me and my LEGO bricks, a pretty good company. I have met a lot of people, have talked to anyone, have tried to understand their world and the complex reality they live in. I went there because I wanted to understand what the whole Israeli and Palestinian conflict was about: media all over the world constantly tell stories about what is going on, there are thousands of publications of all sorts and all parts. I was not able to make my mind, I wanted to explore such a complex reality and see what all that was about. And I wanted to do it my way, pushing the bricks further, trying to explore the reality Israeli and Palestinians experience every day. I was not interested in political talks or in the usual rhetoric speeches, I wanted to see the world these people experience with their eyes. 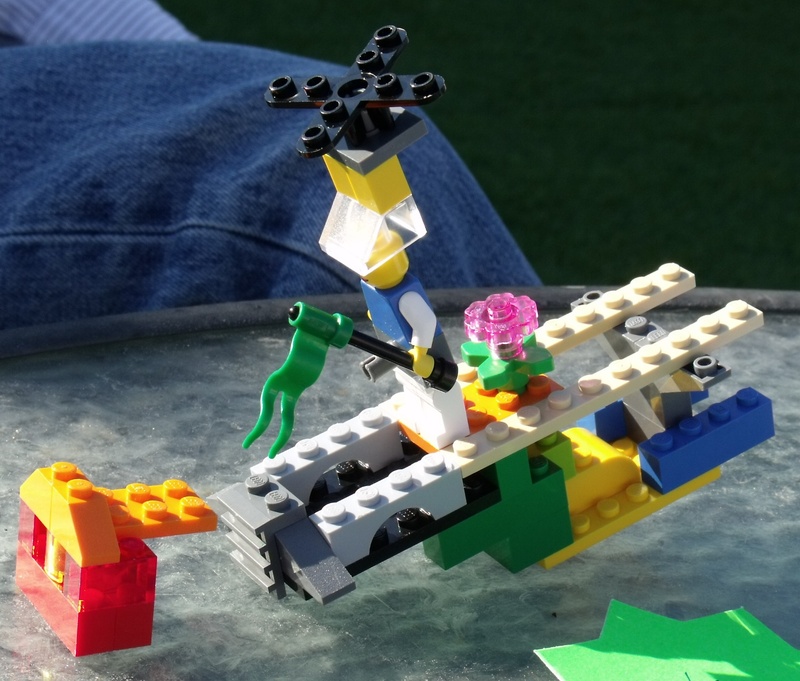 I had no bias, since I could not embrace either of the extreme positions I had been reading about, and LEGO were a perfect mean – they offered me a method where my question could be neutral and unbiased, so that all the relevant issues would emerge spontaneously from the models interviewees would build. 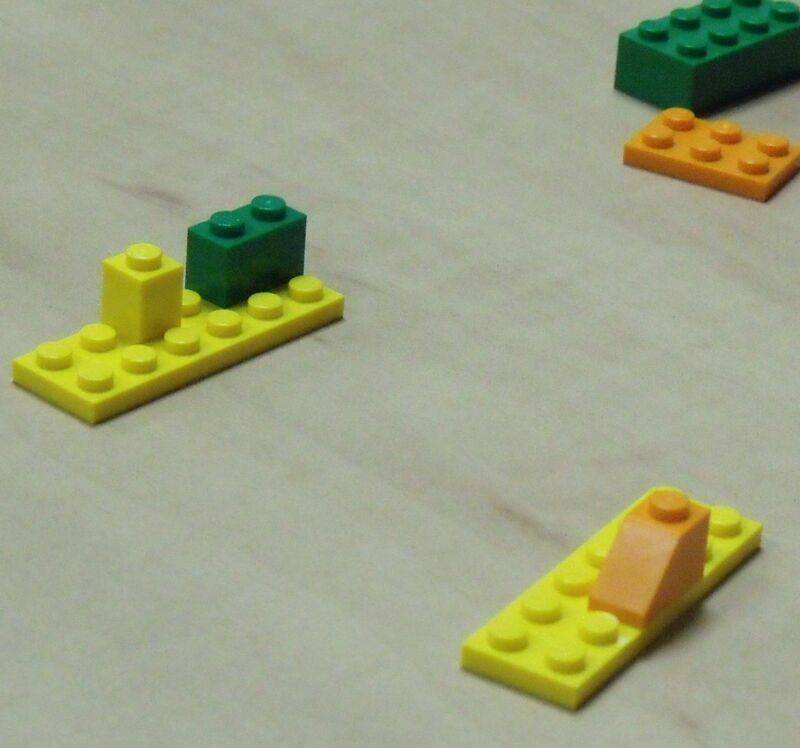 The whole LegoViews consisted in only 2 very simple and open questions: What is Israel? and What is Palestine? Two apparently naif questions, but the answers, the LEGO models interviewees build, or that they even refused to build, revealed much more I could get by asking more structured or complex questions. Interviewees engaged with the bricks, they played around with them, they build models, changed their models, destroyed them. LEGO bricks helped interviewees to open and disclose me their world: it was not me who decided which were the relevant topics, it was the interviewees: they chose the subjects, the keywords, the themes to talk about and in doing so, they spontaneously revealed their inner thoughts and the way they perceive their reality. I listened to them, all my questions were about their models and we, me, the interviewees and LEGO , engaged in an exciting journey. I have involved 10 people, from both sides and both visions: Zionists, moderate Israeli citizens and professionals, Palestinian activists, refugees, doctors and even a child living in a refugee camp. Everyone at the very beginning was quite puzzled when I showed them the LEGO bricks ‘I though it was a metaphor…’ said Adam Levick, managing director of CIF Watch, when I put the LEGO bricks in front of him. And most interviewees had similar reactions. Can be LEGO bricks scaring? Probably they are. More than I thought. 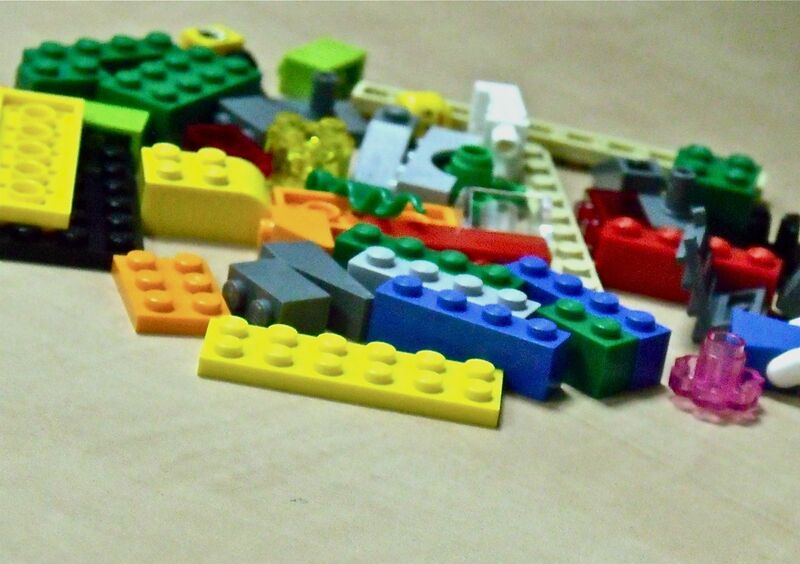 A 60 years old Palestinian activist, whom I contacted before going there and who agreed in having an interview with me, has avoided me since I showed him the LEGO bricks. I have chased him for about 5 days, but he always had an excuse, or was not there: he was not ready for the LEGO challenge. LEGO bricks might actually be scaring, since interviewees do not know where those colourful bricks can take them: traditional interview methods and strategies are all well known and experienced old activists like him are certainly able to take the control of every interview and take the conversation exactly where they want it to go. But how could they do the same with a completely new method for which they have no counter-measures at all? They do not know what to expect, might feel it as a trap, are scared about the unknown. Riol, a 30 years old designer from Jerusalem, left the interview without finishing it: he tried to be neutral and avoided to get into political issues. His model of Israel was a geographical one, but even geography involves history and politics and some bricks were too nasty for him to deal with the whole LegoView process.While pushing the bricks further and further, Riol got anxious and nervous: not knowing how to react or lead the conversation, he was feeling lost. He left the table angrily since there was no way for him to escape from the model he has build and which was telling me more than he expected or wanted to say. The whole LW method has been tested, adapted – some interviews were surprising, other were little bit difficult. Someone engaged much more easily, someone needed to be pushed a little bit more. The method, which is still experimental, has been adjusted to the person and the situation and therefore there are no two similar LegoViews: some were incredibly intense and the bricks helped to reach some unexpected emotional peaks, others were very philosophical and concept rich, others were provocative and others were inspiring. LEGO bricks perfectly adapted to every situation, offering me a great tool to get into interviewees’ world. Even when the Palestinian doctor, who ignored that the interview was actually a LegoView, answered my question by listlessly putting two bricks one next to the other to represent Palestine, it was easy to challenge him and get him involved in the process. Even such a basic model offered a great mean to provoke him: by simply pushing the two bricks apart I asked him why the Palestine he built was such an unstable context, so easily divided, so disconnected, so fragile. That simple question convinced him to engage in the process with great results. After 10 days spent making LegoViews and talking to people, I can’t say I know their reality in and out – 10 days, 10 LegoViews and the informal chats I had with taxi drivers, activists, refugees, citizens, random people in the street and professionals are nothing in a more than 60 years’ long conflict. But LegoViews certainly offered an interesting way to investigate the Israeli and Palestinian reality, a different way to approach such a complex context and a new perspective: LegoView allowed me to see the world with the eyes of the interviewees, understanding their point of views, their priorities and their life. Most of my LegoViews will be published here, because the visions and perspective I have collected, no matter if extreme, agreeable or not, are thought-provoking experiences and offer new perspectives and insights worth being shared: both to show LegoViews’ method potential and to get a new insight about one of the most difficult political situations of our times. Some results and processes will surprise you, as they surprised me and J. K., the Israeli business consultant with whom we experienced that LEGO bricks know more than we know: his model of Israel was unstable, Palestine and Israel were two unbalanced parts of his model. He put in the center of the model a human figure with a grey brick between the figure’s legs and upper body representing Israelis and their weapons. As soon as he took off the grey brick, everything was perfectly balanced. And this is the power of LEGO and LegoViews. Because, as the pay off of this blog says, hands know more than we know.